With protests against China’s investments taking a volatile shape in Sri Lanka, Bangladesh, Myanmar, and Pakistan, it is safe to say that the country’s ambitious expansion via economics in the Indian subcontinent is not going as well as Beijing had imagined. On February 2nd, one person died and more than a dozen got injured when a protest against a $2.4-billion Chinese-backed power plant in Bangladesh turned violent. The protesters believe that the construction of the coal-fired plant 265 km south-east of Dhaka will cause widespread displacements, disturb graveyards, thereby snapping a sentimental link with the land (too), and damage the environment. When the agreement was signed for the project, which was expected to begin power generation by the end of 2019, it was touted as the symbol of Chinese-Bangladeshi relations. In the most recent violence linked to Chinese investment in Myanmar in the third week of February, Hundreds of workers in Myanmar attacked a Chinese garment factory in Yangon, destroying equipment and briefly making seven Chinese workers captive. It took joint efforts of the Chinese embassy and the local police to secure the release of the Chinese workers. Though this particular incident was related to the sacking of an employee, anti-China sentiment has been rising recently in Myanmar, leading, for instance, the shelving of plans to build a huge dam on the Irrawaddy River. Similar resistance is also seen in the construction of an oil pipeline in Myanmar, a country that had a good trade and political relations with China at a time it was facing international sanctions due to the military rule. Elsewhere, a month earlier, in January, scores of people were injured in southern Sri Lanka during a protest against allowing China to build a port and surrounding industrial zone. The project involved probable displacement of many thousands of people living in villages near Hambantota port, about 250 km south-east of the capital Colombo. The protesters believe that the area is being turned into “a Chinese colony”. Giving credence to their fears is the fact that the Sri Lankan government is finalizing a 99-year lease of the entire port area to a Chinese-owned company. A section of the intelligentsia share the fears of the Hambantota port protesters – that about Pakistan, as a matter of speaking, becoming a Chinese enclave by not negotiating well the China-Pakistan Economic Corridor (CPEC), an under-construction $54 billion economic corridor in Pakistan, that aims to connect Gwadar Port in Balochistan province in the southwestern Pakistan with Xinjiang in far-western China. Then there is a more violent opposition in place too – that by groups that have long been demanding independence for Balochistan, Pakistan’s largest province. Only this week, the Baloch activists blew up a part of a bridge that belonged to CPEC. More than 15,000 troops are designated by the Pakistan government to safeguard the corridor, and the 7,000 Chinese personnel working on it. Pakistan squarely blames its neighbour India for all the violence in its country, especially that which targets the CPEC. India, on the other hand, and while denying any role in Pakistan’s internal violence, has raised concerns about the CPEC passing through some areas of the Kashmir region, which it calls Pakistan Occupied Kashmir (PoK), and claims it to be a part of its sovereign territory. The incidents across four countries in the Indian subcontinent—especially the problems of the ports in Pakistan and Sri Lanka—reflect the probability of there eventually being a resistance to what experts like Brahma Chellany, a geostrategist and, among other, a fellow of the Robert Bosch Academy in Berlin, calls “China’s Debt-Trap Diplomacy”. Addressed in other forms elsewhere by other experts, the term generally refers to China’s ploy to dominate geopolitics via economics, especially that part of economics that involves mega infrastructure investments in underdeveloped and often restive states where the need for investment outbids the need for geopolitical considerations. For the purpose of brevity, let’s just focus on Chinese investments in Sri Lanka and Pakistan. When the world was apparently against Mahinda Rajapaksa, Sri Lanka’s then president, in his bid to brutally crush the deadly terrorist organisation Liberation Tigers of Tamil Eelam (LTTE), China had readily come forward with not just arms but also economic packages like Official Development Assistance (ODA) and Foreign Direct Investment (FDI) of nearly $14 billion in the decade spanning 2005-2015. ODA was offered for infrastructure, energy, and services projects at an interest rate of 2-5%. Hambantota Port Development was one of the biggest recipients of the assistance. 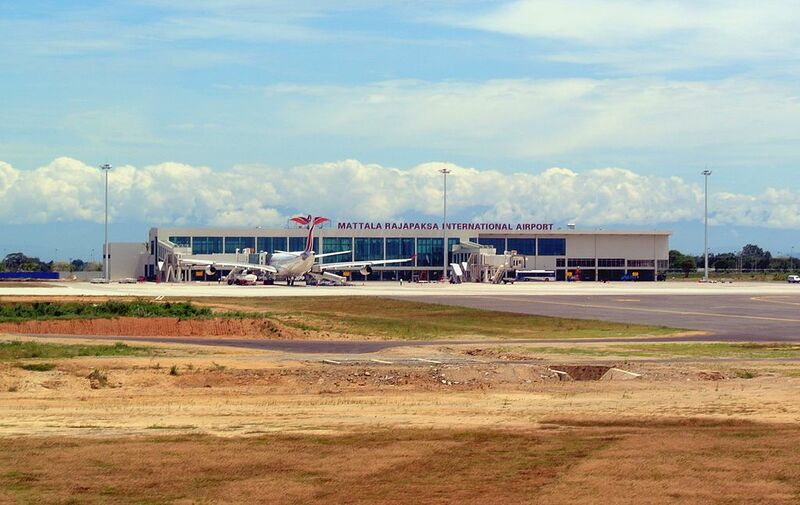 Unfortunately for Sri Lanka, Hambantota port, built in 2008, today generates almost no noteworthy revenue—while the adjoining Mattala Rajapaksa International Airport, which became operational in 2013, was dubbed as the “world’s emptiest airport” by Wade Shephard, author of a forthcoming book on China’s “One Belt, One Road”. Writing for Forbes, Wade mentions that the cost of paying off the airport alone was topping $17 million per year. In another article for the same publication, Wade mentioned, “All in all, the Hambantota fiasco is sending a clear message to Beijing: showing up with bags of money alone is not enough to win a new Silk Road”. The twin issue of the port and the airport was enough for the opposition to topple Rajapaksa, almost a cult hero in the country for making it free of 26-year-old LTTE terrorism, in the 2015 presidential elections. Things have not been smooth for Chinese investments in the country ever since. For instance, a deal about Chinese-owned companies (government proxies in general) taking over 80% of Hambantota port for a 99-year lease for about $1 billion, was scheduled to be signed in January—but has now been postponed indefinitely due to mass protests. Pakistan poses even greater challenges to Chinese investments. There, China has to deal not only with Baluchistan militant factions that are calling for independence but also international considerations like India claiming a part of the Kashmir region that is currently held by Pakistan—and from where the much-touted CPEC highways pass—to the possibility of Afghanistan, Iran and Saudi Arabia fuelling the fire in Baluchistan for their own geopolitical and sectarian interests. On the business side too, the history of Gwadar port does not inspire much confidence. Despite Phase II of Gwadar getting completed as far back as in 2008, barely any ships anchor there and little freight handling is recorded. Then there are stray voices in the Pakistan intelligentsia too expressing doubts about the terms and conditions of CPEC, which remain shrouded in mystery, and often also about the host nation become a (notional) Chinese enclave or colony. Some of the statements and concerns might be exaggerated but the fact remains that uneven usage of Chinese investments, local and social-political bearings of the investments, and, most of all, suspect ability of the financed projects in particular and financed nations, in general, are raising formidable questions to the Chinese steps in the Indian subcontinent. Bulldozing its way multi-billion dollar speed vehicles might not be the answer that Beijing might be hoping for.